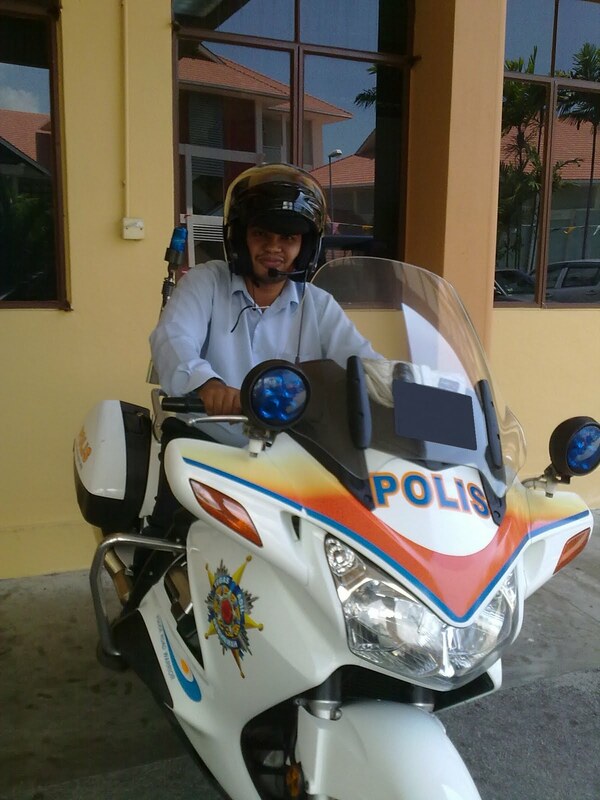 'EKSYEN' with the Polis Di Raja Malaysia (Royal Malaysian Police) superbike. From what i heard, this bike has 1,300cc ... easily catch a runaway Perodua Kancil. 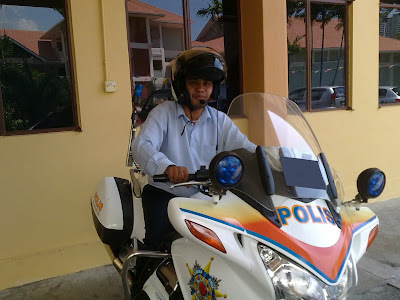 I took this oppoturnity after some police bikes escorting a super-vip, officiating a USM book. I have the rider permission on riding and taking picture on this bike. To see more clearly... click on these photos.